The Parade of Bands also includes huge floats pulled by several people. The float sometimes reflects the theme of a band's costume. 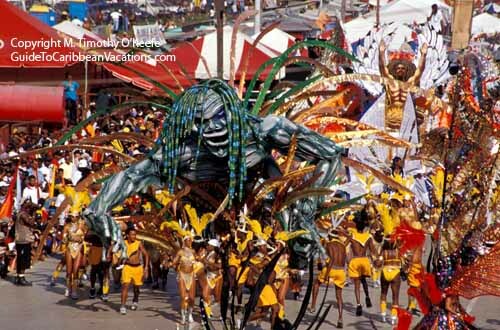 This float of a huge rastafarian with braided dreadlocks bears no relationship to the band's yellow and white outfits.